I can't seem to find a pattern that explains what I'm seeing. If necessary I can cobble together a screen shot upon request. If you're talking about how the row is highlighted, that's because "bug" is a favorite tag of yours and that question uses that tag. If you're talking about the "status-deferred" tag, that's because it's a special "moderator-only" tag. Not the answer you're looking for? 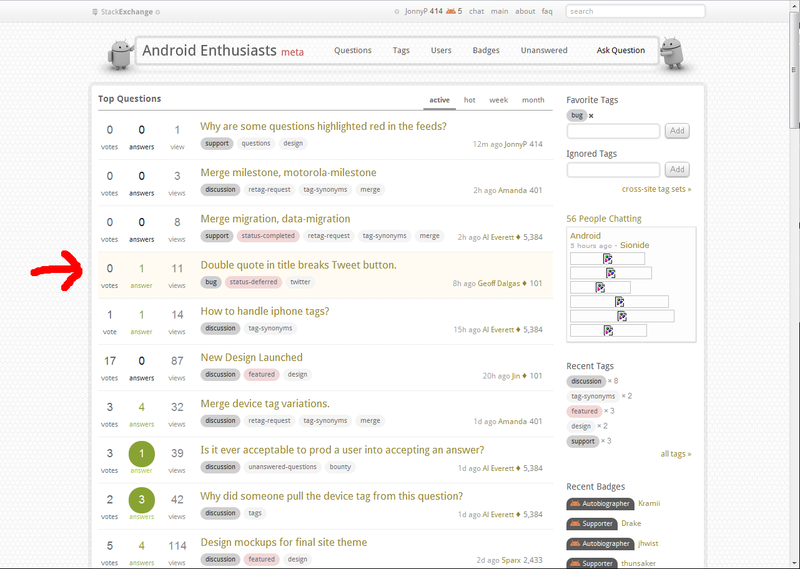 Browse other questions tagged support questions design . Are we English language only?